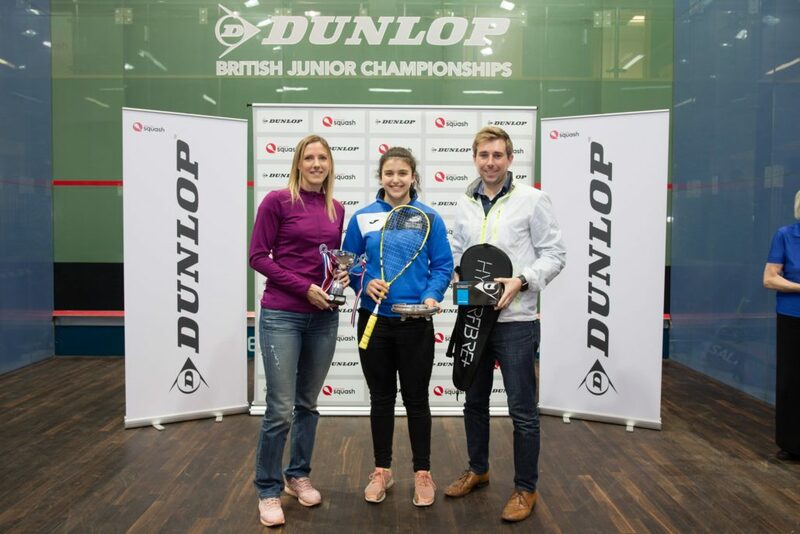 Top seed Georgia Adderley wrote her name into Scottish squash history books this afternoon (Sunday) after claiming the GU17 British Junior Championship title in Manchester. 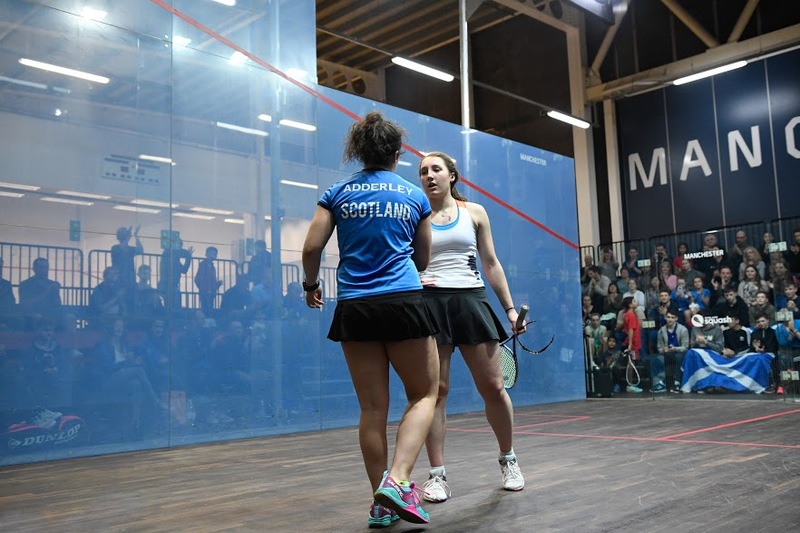 The 16-year-old beat second seed Alice Green from Essex 11-8,11-6,7-11,13-11 to claim the title and become the first Scot since Lisa McKenna in 1993 to win a BJC title. In reaching the final Adderley also became the first Scottish female in British Junior Championship history to reach a GU17 final and the first Scot to reach a BJC final in over two decades – with Laura Hamilton’s 1996 second place in the GU19 final being the last time Scotland enjoyed representation in any final. 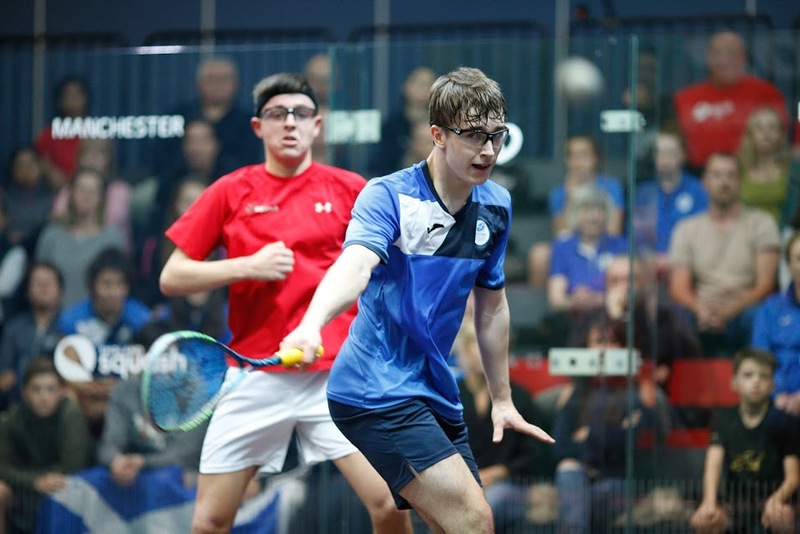 In a Super Saturday for Scotland, Alasdair Prott quickly followed Adderley into finals day, becoming the first Scot ever to reach a BJC BU17 final after defeating Ben Smith in a semi-final clash. 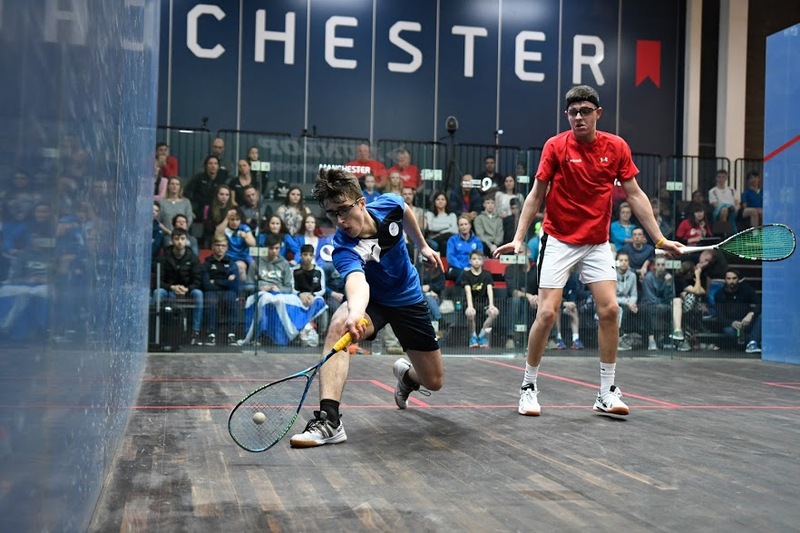 In arguably the match of the tournament, Prott came from two games down to take the final on Sunday against Warwickshire’s Lewis Anderson into a decider which the English teen won, prevailing overall 11-7,14-12,7-11,9-11,11-8. 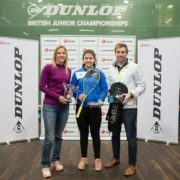 After her win today, Georgia Adderley is now only the fifth Scottish female to claim the top prize in any category at the British Junior Championships. The new champion said: “I am over the moon, it’s hard to put into words how it feels, I am absolutely buzzing. “I was speechless when I first came off the court. “It was a tough match which I knew it was going to be having played Alice before. She added: “I was really happy with how I played in the whole event having not dropped a game before the final. “It is my first big event of the season so to get through and win was brilliant. National coach Paul Bell said: “Georgia played really well throughout the whole tournament and was able to see it through in the final against her toughest opponent by far. “Georgia showed all the way through the weekend she was the best player. “All the work she has done in the past few months was based around doing well at this event so the fact she can put it all together during the matches is a really good sign as she moves forward. 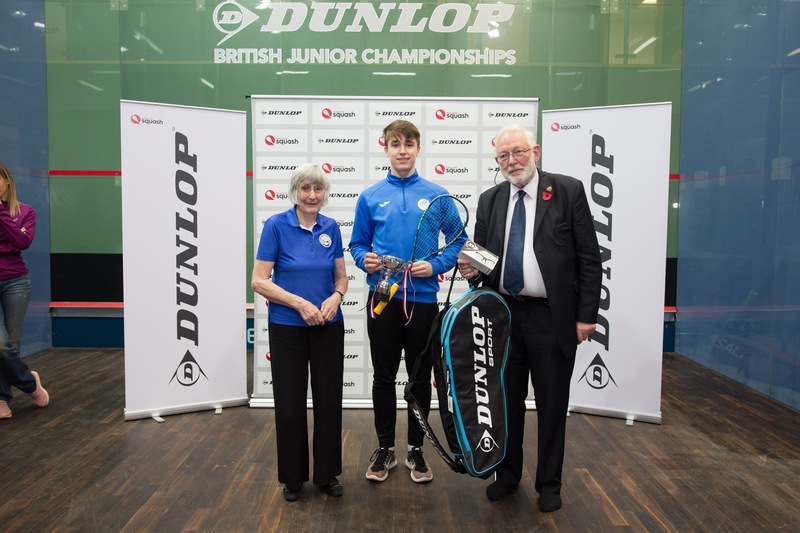 Paul Bell was also full of praise for Alasdair Prott after his final, saying: “It is such a tough age group and he did brilliantly to reach the final. “He got through a tough second round match in five and put away a couple of really talented English players in three games on Saturday. “He was so close in the final and it could have gone either way. It was 8-8 in the fifth and a real toss of the coin. “His determination is something else. He has real grit and has a good game in all areas. It’s good to see a young player not simply rely on one strength which you often see. “He can really develop his game and has an all-round skill set and he needed to draw upon them all to get to the final. Prott said: “It means a great deal to reach the final and with a lot of talented Scottish juniors coming through I expect to see some more players reach BCJ finals in the future. “It was a tight final and after I went 2-0 down I spoke to Paul Bell and changed some things. “It was a battle and few points and decisions here and there proved the difference in the end. 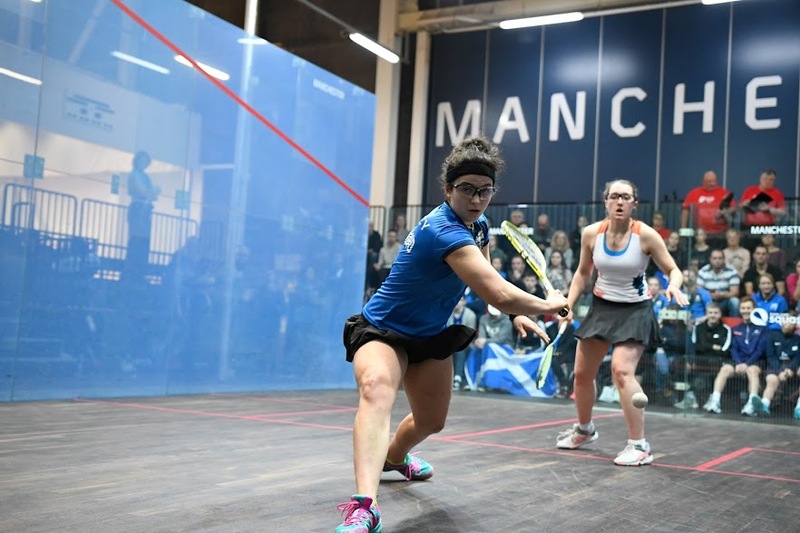 “It was such a great arena playing in the glass courts which took a bit of getting used to and I loved playing in front of the Scottish support who were down. Elsewhere Scot Anna Halliday, 12, finished sixth in the GU13 age group after impressing in another very competitive age group. To get all the results of the Scottish players in action, go to the BJC website here.